When complex aviation law issues arise, you want a firm on your side that can face these challenges head on. At the office of William G. Harger & Associates, PLLC, we focus our attention on handling cases within the area of aviation law. From our office in Richmond, Texas, we are able to tailor our services to suit clients in Houston, throughout Texas and throughout the United States. For even the most skilled attorney, aviation law matters can be incredibly in-depth and complicated. However, these types of issues are made slightly easier due to our founding lawyer’s previous careers. 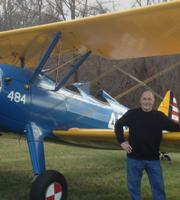 Before becoming a lawyer, attorney Bill Harger was a commercial airline pilot and aircraft mechanic. This unique, hands-on experience allows him to have insight into the world of aviation law that is unparalleled by most lawyers. Under his guidance, our firm also handles a wide range of other legal matters, including business law, personal injury, divorce and family law.